To many Chinese learners, learning how to "draw" those bewilderingly complex Chinese characters proves to be a major headache. But have you ever wondered why Chinese remains the only ideographic language still in use today and has not been alphabetized like many other languages? In fact, there were attempts to Romanize Chinese and subsequently replace all the Chinese characters with alphabets called Hanyu Pinyin, or simply Pinyin for short. But luckily, they failed. In the 1950s, after the establishment of the new People's Republic of China, there was an urgent need to increase the literacy rate. Mao Zedong then proposed a gradual Romanization of the Chinese language. The Chinese Communist Party (CCP) first worked out a new simpler system of writing, which became known as Simplified Chinese (简体字 jiǎn tǐ zì .) This simplified script has since been used in Mainland China, Singapore and Malaysia. This was, however, the first step of total Romanization of Chinese. Soon afterwards, the government developed an even simpler script called the Second-Round Simplified Chinese Characters (第二代简体字, or "二简字 èr jiǎn zì" for short). This script took simplification even further by keeping only some radicals in a character and discarding the rest (e.g. 雄-厷，停-仃，雪-彐), and it even combined some homophones into the same characters (e.g. 蝴/糊/猢 hú were all simplified into 胡 hú). Contrary to what was intended to help people understand Chinese more easily, many people found it a great deal more difficult to read text in Chinese. Many critics also felt that the second-round simplification destroyed the aesthetics of the Chinese characters, which were reduced to a jumble of meaningless symbols by the simplification. Due to the consequent widespread confusion brought by it, the second round of simplification was soon officially rescinded and the government decided to revert to the first version of the Simplified Chinese Characters. As a result, the government stopped the alphabetization of the Chinese characters. The Chinese language itself has a large number of words with the same pronunciation but completely different meanings. They are called homophones (同音字 tóng yīn zì.) These homophones can be a source of ambiguity when they are written in Pinyin. Some examples of homophones in Chinese are listed as shown below. 报酬 (bào chóu) = "reward"
报仇 (bào chóu) = "revenge"
不详 (bù xiáng) = "not known in detail"
不祥 (bù xiáng) = "ominous, inauspicious"
毅 (yì) = "tenacity, perseverance"
易 (yì) = "easy; change"
亿 (yì) = "100 million"
As a result of the vast amount of homophones, it would become enormously challenging, if not totally impossible to decipher the Literary Chinese (文言文 wén yán wén) or ancient poems without the Chinese characters. Furthermore, as you know, Chinese characters are ideograms which carry certain meanings but not a definite sound. Without the Chinese characters binding them together, various dialects in China would develop in separate ways from each other and eventually into different languages. This might eventually give rise to regional separatism, destroying the unity of Chinese language and culture. 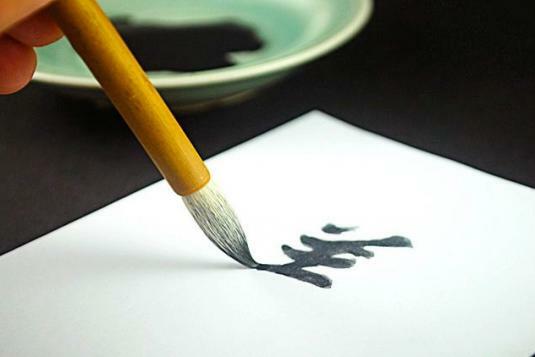 However, there is certain beauty in the intricacy of the Chinese characters. From something as arbitrary as a soccer team nickname, to an ancient Chinese idiom, to even something as simple as how to say "air-conditioner" in Chinese, the complexity of the Chinese characters is what allows them to hold multiple meanings. Perhaps that is the reason that this deeply pictorial language has persisted throughout thousands of years. Frank Liu is a contributing writer at TutorMing. Born in Guangxi, China, he is fluent in both Mandarin and Cantonese. He spent 13 years of his life in China, before moving to Singapore with his family. He is well-versed in Chinese culture and history. In his free time, he likes to jog, read, and travel.